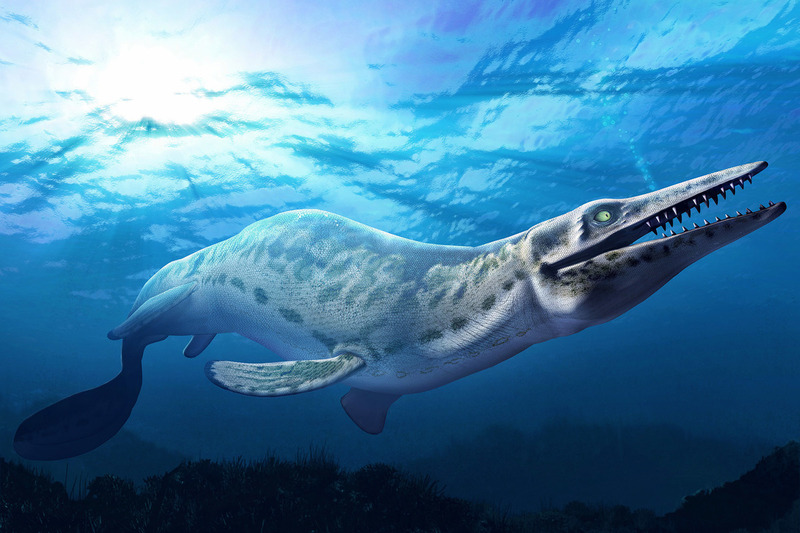 Scientists Unveil Ancient Sea Monsters Found In Angola Almost 100 million years ago, when the South Atlantic Ocean was young, giant reptiles prowled the seas. Scientists have found a trove of these ancient creatures in the African nation of Angola. 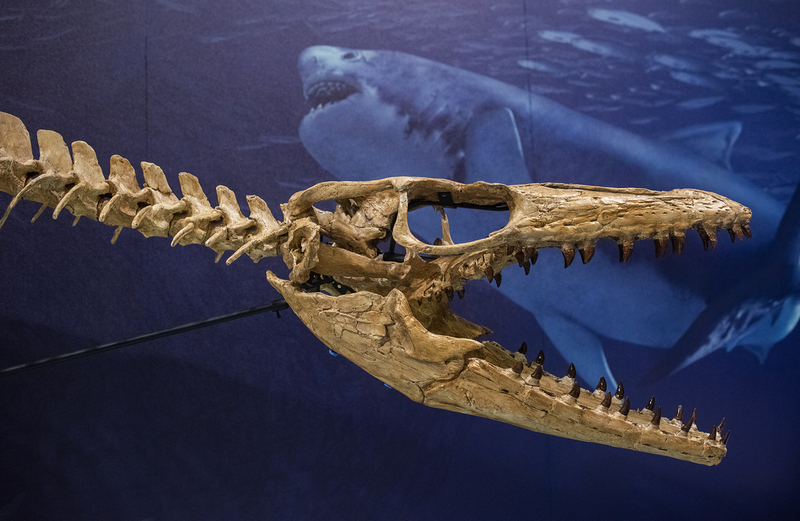 The skull of a mosasaur, one segment of a full-scale reconstruction, is displayed in front of a mural painted by natural history artist Karen Carr, depicting the mosasaur's underwater environment. 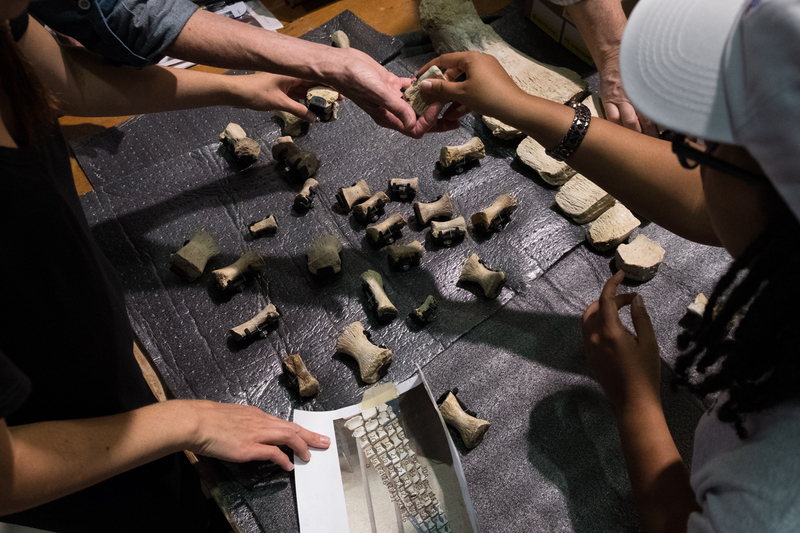 Researchers unpack and organize fossils that have been shipped from Southern Methodist University, which has the bulk of the mosasaur bones from Angola. 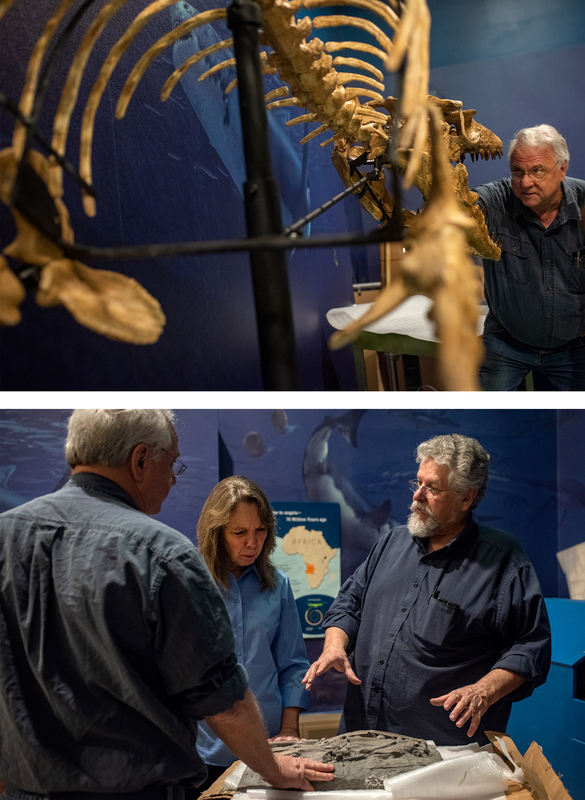 (Top) Louis Jacobs, professor emeritus of paleontology at SMU and co-curator of the Smithsonian exhibition, checks the skull of the mosasaur fossil replication. (Bottom) Michael Polcyn talks with Jacobs and Smithsonian project manager Jill Johnson about the display of fossils excavated along the coast of Angola. The mosasaur is an extinct marine reptile that first lived almost 100 million years ago. It had a long, barrel-shaped body; paddle-like flippers; and a large, heavy skull. It grew up to 50 feet long and weighed roughly 15 tons. 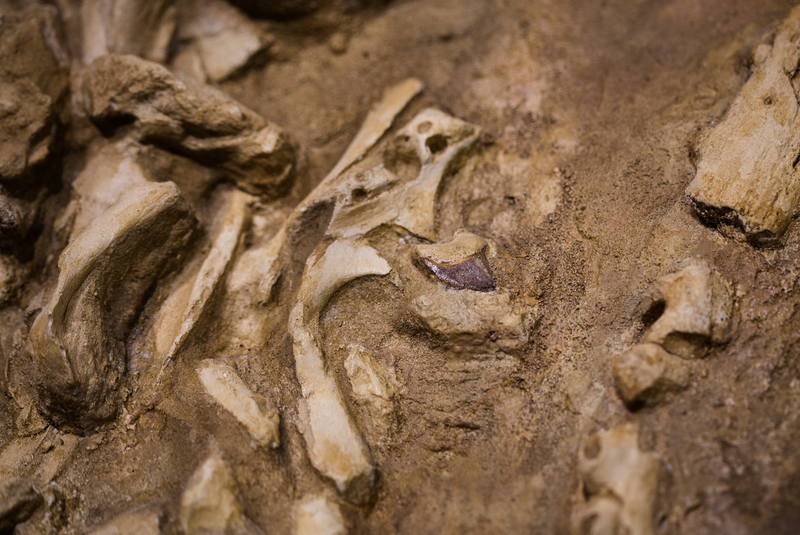 A shark's tooth (center) sits among the bones of several mosasaurs. Sharks scavenged on the flesh of dead mosasaurs and lost their teeth in the process. 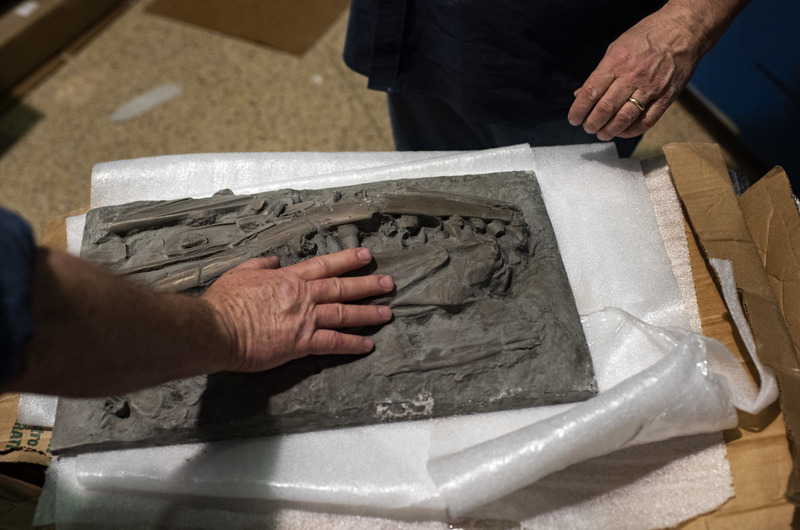 The exhibition at the Smithsonian National Museum of Natural History will allow visitors to interact with history, such as this touchable panel of mosasaur fossils. Opening the door to us, the furry little mammals.